In his recently released book, Shamanism — a Biopsychosocial Paradigm of Consciousness and Healing, Michael Winkelman sheds interesting light on the question of the true basis of shamanism. Much of the research on shamanism gifted us from the academic community has straddled the fence between the esoteric and the scientific. A common position on what we call traditional shamanism — ancient and indigenous tribes with exclusive cultural rituals and cosmology — is that it is a religion. The more scientific avenue of neuropsychology offers the idea that some people with the right brain chemistry and the right cues happen to tap into shamanic states. From what Winkelman suggests, none of this is accurate. Not only is shamanism not a religion (defined as a set of beliefs comprising why we’re here, how we got here, the deities who preserve us here, our rituals by which we thank them and a moral code that keeps us all in line), it’s also not set aside for a select few. His research shows that nonverbal communication from the paleomammalian brain (limbic system) indicates a deeper level of consciousness at work. Nonverbal communication, such as dance, art, facial expressions, dreams, etc, Winkelman says is “primarily about the self and its emotional states in relationships to others” (p.19). In this observation he puts forward the idea that “the paleomammalian brain produces and uses expressions of the face, vocalizations, actions and gestures that provide information about others’ minds and their motives and internal states, creating a common or collective awareness, which is the basis of consciousness” (p. 19). In the context of soul healing, Winkelman is referring to the theatre of ritual and what we call the shamanic narrative. Shamans work by decoding the shamanic narrative, the story presented upon journeying into the spirit world to find healing for themselves, an individual or their community. However, what Winkelman proposes here takes the insight of the shamanic narrative to another level. By viewing nonverbal communication as inherent to us all, he is saying that the shamanic narrative is hard-wired in us all. It isn’t just a random or fleeting spiritual vision detailing what soul healing one may need. This narrative truly is the story of one’s life and how it has been psychologically, environmentally, and cellularly shaped. Winkelman also suggests that beyond the trappings of ego and personal identity, we all share the same base narrative. That this deeper level of consciousness originates with the paleomammalian brain and is processed in the “more advanced” neomammalian brain is also interesting. This observation suggests that not only was the development of nonverbal communication necessary for personal survival; rather, also the development of the shamanic narrative was necessary for personal survival. According to Winkelman, “These aspects of consciousness play a crucial role in providing the sense of unity of assurance and conviction vital for self and species survival (Ashbrook 1993)” (p.19). The assertion that this level of consciousness is required for species survival indicates that through interconnected symbolism we aren’t just hard-wired for shamanism, we require it. This discussion could easily put to rest arguments around shamanism being culturally centric, thus limited only to those of ancient and indigenous cultures, and that it is a religion. Our modern definition of religion is widely interpreted, though with regard to shamanism, it has always carried with it cultural implications. This definition has also always encompassed a suspension of reason or logic. In our legacy of anthropological studies of shamanism has always been the assumption that tribal cultures cling to shamanism because they aren’t civilized enough to know better. The fact remains, however, that our development of the neomammalian brain, which governs symbols and language, thus the ability to apply reason to our feelings, allows us to be aware that this nonverbal process is happening, and to creatively apply it. That level of brain development isn’t new or limited only to humans in the west. Winkelman’s research shows that not only have we known this rich, nonverbal relationship to symbolism for a long time, we’ve been actively involved with this neurological process across our evolution as a species. In this light, traditional shamanism is neither exclusive nor inclusive. Such limits do not need to be placed. There does not have to be comparisons or disputes between traditional or modern shamanism. Drawing on the same neurological processes, both accomplish healing outcomes different ways. 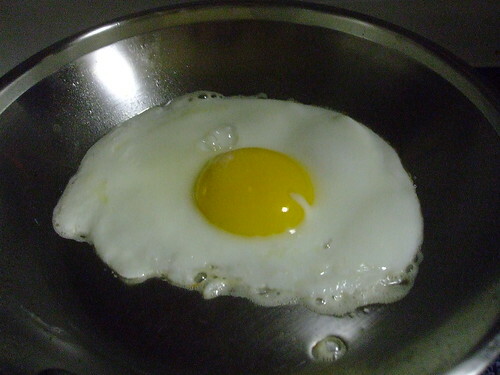 In essence, some fry their eggs, some scramble them. Regardless, this is all of our brains on shamanism.